Any food that can be eaten with a toothpick gets bonus points, as far as I鈥檓 concerned. No one wants to wander around a party trying to keep track of a fork 鈥� I have enough trouble keeping track of my wine glass without having to bring utensils into it. So whenever I鈥檓 serving big tray appetizers for a crowd, I like to focus on things that can be eaten with toothpicks. 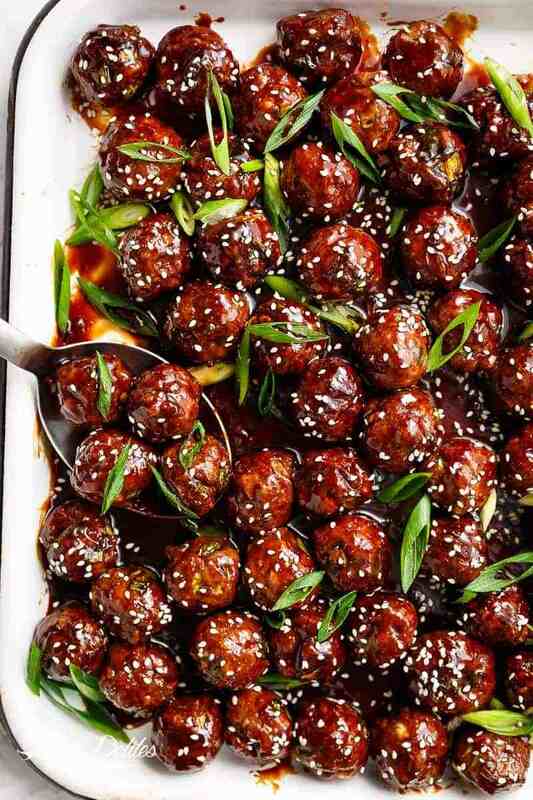 These Mongolian glazed meatballs from Cafe Delites are just the sort of appetizer I head toward first when I get to a party 鈥� they鈥檙e the sort of obviously delicious tiny-sized comfort food that tends to disappear most quickly. On top of that, they鈥檙e one of those hearty, substantial appetizers that keep people from getting too hungry during a long night. The meatballs are flavored with ginger, garlic, chopped onions, soy sauce, and Shaoxing wine before being mixed with eggs and panko breadcrumbs to give them a great texture and help them hold their shape. (If you don鈥檛 have Shaoxing wine, I like to use sherry as a substitute in an emergency.) Then they鈥檙e rolled into tiny, one-inch balls and cooked in the oven until they鈥檙e browned and cooked through. Then the fun part happens. The cooked meatballs are rolled in a thick brown glaze of soy sauce, ginger, garlic, hoisin sauce, oyster sauce, and a bit of sesame oil. 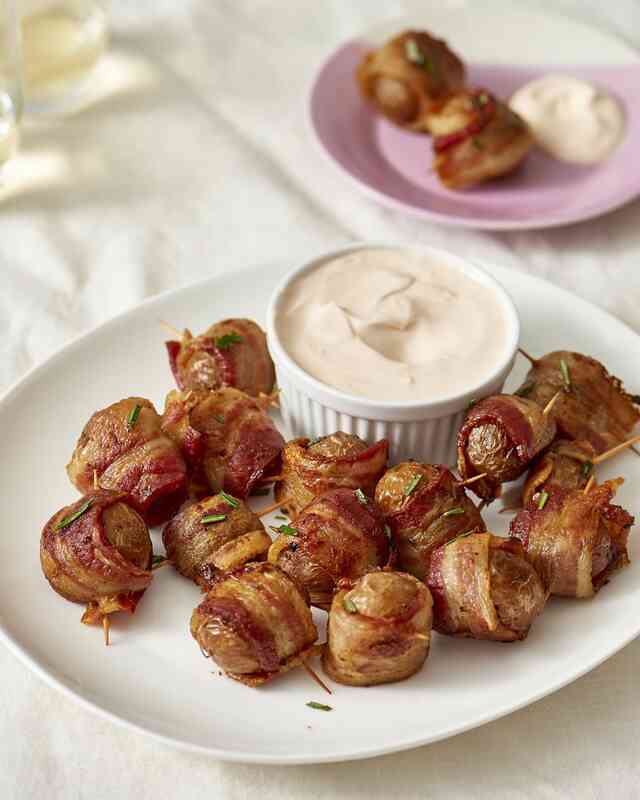 Rolling the meatballs in the glaze sounds tremendously fun, because you can slide them around like marbles. Then just use a slotted spoon to transfer the glazed meatballs to a serving tray, and they鈥檙e ready to eat.